Twenty years ago, Euroline Inc. Brought the MOTOREX brand to North America for the first time. The anniversary is the perfect occasion for a brief introduction to the company and the philosophy of it’s founder, Peter Feller. 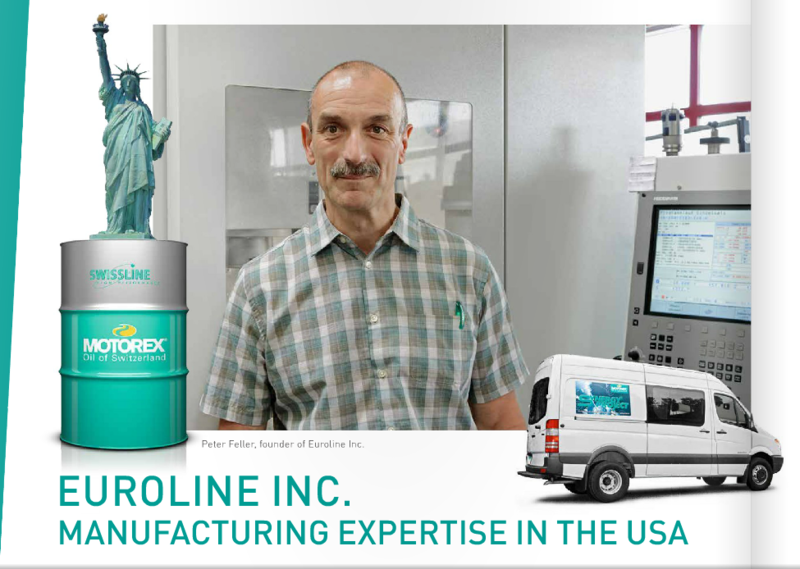 The first encounter between MOTOREX and Peter Feller, founder of Euroline INC. in New Milford Connecticut, took place no less than twenty years ago. At the time Feller was working for a well-known Swiss machine tool builder, so he knew exactly what properties an ideal machining fluid should have. Peter Feller always turned first to MOTOREX for lubricants. Sophisticated, proven products, a strong research and development department and effective marketing made the Langenthal company the perfect partner.